So adorable and creative! You're so talented! This is so cute! 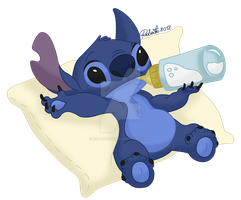 I love Stitch. One of my favorite Disney characters EVER. Stitch'll love this! I'll show him sooo cute! How sweet of him, Lilo's taught him well. AWW!!!! SO SO SO CUTE!! :herat: it! 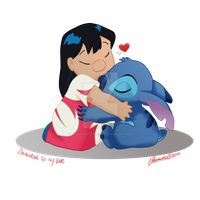 I :heart Stitch! ahhh thanks ! 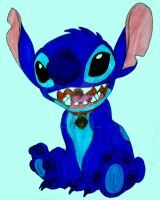 c: i heart stitch too !! Aww , this is damn adorable! This is darling! Nice work on this. Be A Part Of Our Ohana!! !